Bentonite Sulphur is straight Sulphatic fertilizer containing Sulphur and Bentonite clay. 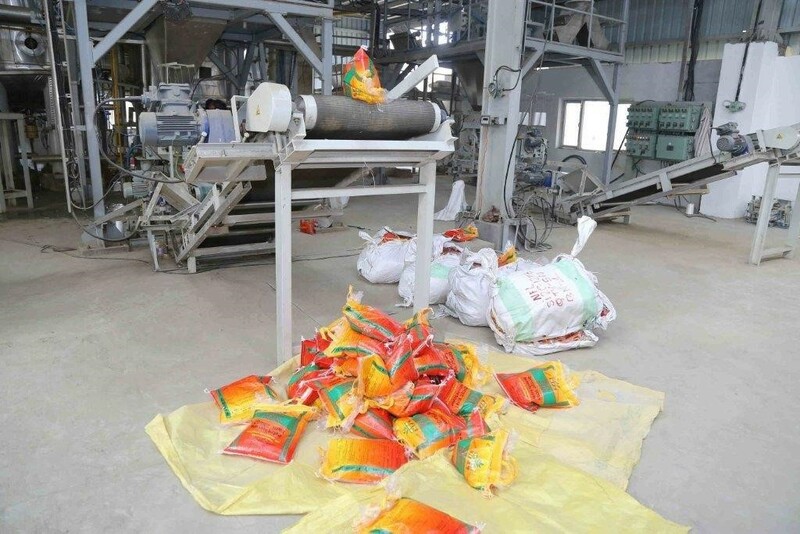 The Sulphur present is 90% in these fertilizers and is the highest among other category of Sulphated fertilizers. 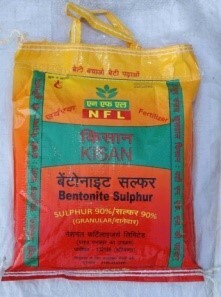 This makes Bentonite Sulphur more effective in terms of supplying Sulphur to Crops. 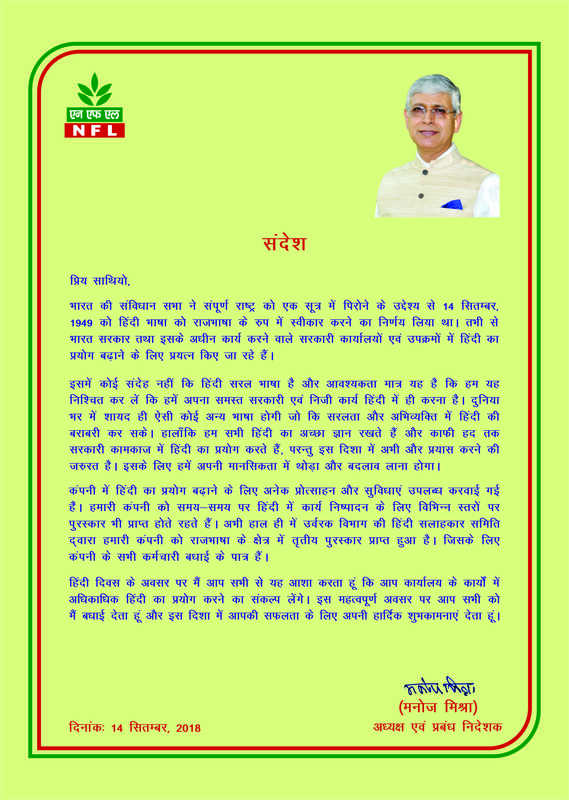 In fertilizers, besides N, P, K nutrients, Sulphur is the 4th major plant nutrient. Sulphur is an essential component in the synthesis of amino acids required to manufacture Proteins. Sulphur is also required for production of chlorophyll and utilization of phosphorus and other essential nutrients. Increases Oil content of groundnuts and other oil seeds, improves quality and quantity of pulses. > 90 per cent of the material shall pass through 4.0 mm IS sieve and be retained on 1 mm IS sieve and < 5% shall be below 1 mm IS sieve. NFL packages the product in packs of 5 kg, 10 kg, 25 kg and 50 kg bags. NFL is also exploring possibility of packaging in 1 kg bags to enhance its marketability.